Globe Style Atomizer Heating Core With Screen. 10ct. ..
Phatomizer XL Triple Quartz Wickless Coil. 10ct. Not for small batteries Standard 510 .. 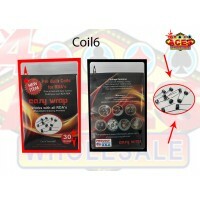 Replacement Coils Head Long Wicks For Vivi Nova CE4/CE5/CE6 Clearomizer. 10ct. 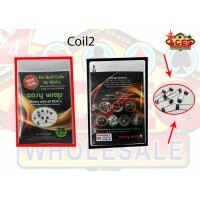 ..
30 Gauge Easy Wrap Pre Built Wire 1ct. Pre built Kanthal Wire Coils For Rdas!! Pack..
Arctic Coils 0.5 ohms 1ct. .. Aspire Atlantis Replacement Atomizer 1ct. .. 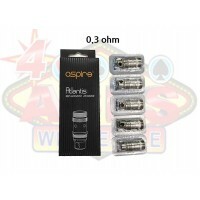 Aspire Nautilus BVC Cotton Coils 5pk - 1.6 Ohm. 1ct. ..